Thank you to Christi Cawley, M.A., Lower School Counselor at Pinecrest Academy for writing this impactful article on bullying. A parent’s natural instinct is to protect his or her child from harm. That’s why the issue of bullying is top of mind for most parents of school-aged children. It’s first important to understand what bullying is so that the signs may be recognized and addressed. While “repeated” and “purposeful” are self-explanatory, the “imbalance of power” criterion can sometimes be confusing. Here are some examples of power imbalances between children: physical (size/strength), social standing/popularity, and being outnumbered (two or more children picking on or excluding another child). Sadly, adults are notified in less than half (40%) of bullying incidents, so it is important to recognize the signs and communicate with your child in a calm, open manner. Kids don’t ask for help for many reasons, including: fear of being seen as weak or a tattletale, fear of retaliation from the bully, embarrassment, fear of punishment for being weak, feeling like no one cares/would understand, fear of rejection by peers, and belief that adults can’t or won’t help them. Most parents (if their child tells them about a problem) tell their children to 1) ignore it; and/or 2) “stand up” for themselves. These strategies are good life skills for children to have, but they are typically more effective in situations where there is not an imbalance of power or the behavior is a minor, one-time incident. Our job as adults is to help children when they need us, and in a true bullying situation, they do. 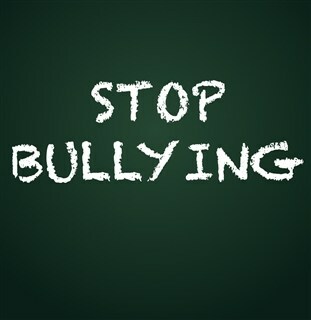 The effects of bullying can be very severe, long-term, and life-altering. Please reach out to your child’s teacher, school counselor, and dean immediately if you have concerns about a potential bullying situation. Pinecrest Academy is a private Catholic school serving Pre-K through 12 students. We provide an atmosphere of academic rigor and critical thinking while offering personalized attention in a Christ-centered environment of faith and reason.